Synopsis : In “GLee! 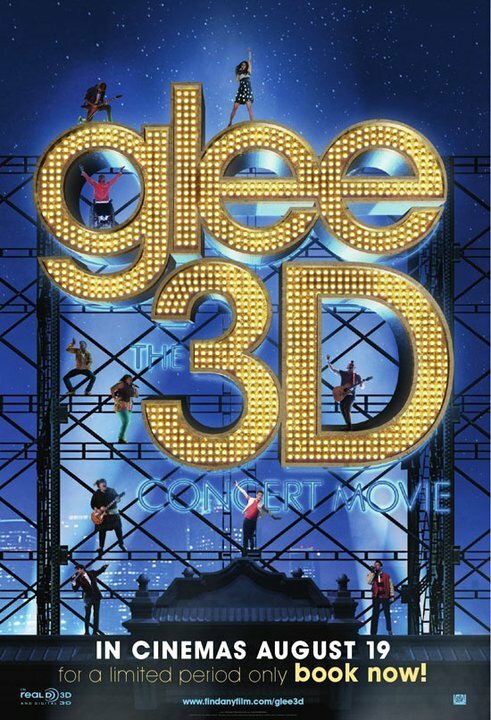 Live 3D Movie”, the entire Glee cast will be doing a concert movie of their North American Tour. All your Glee favourites, including Sam, Mike, Blane and Lauren perform multiple songs from season 1 and season 2 such as “Teenage Dream”, “I’m A Slave 4 U” and a couple of originals like “Hell To The No” and “Loser Like Me” will leave you wanting for more – and it wouldn’t be Glee without some songs from Journey.